Welcome to the gallery of North American cat images. This gallery contains images of cougars, bobcats and lynx. If you are looking for lions, tigers, snow leopards and such, please try the "Non-North American Big Cats" gallery. Currently, this album contains photos of CAPTIVE CATS ONLY (other photos you wil see on my site are a mix of WILD shots and CAPTIVE shots). 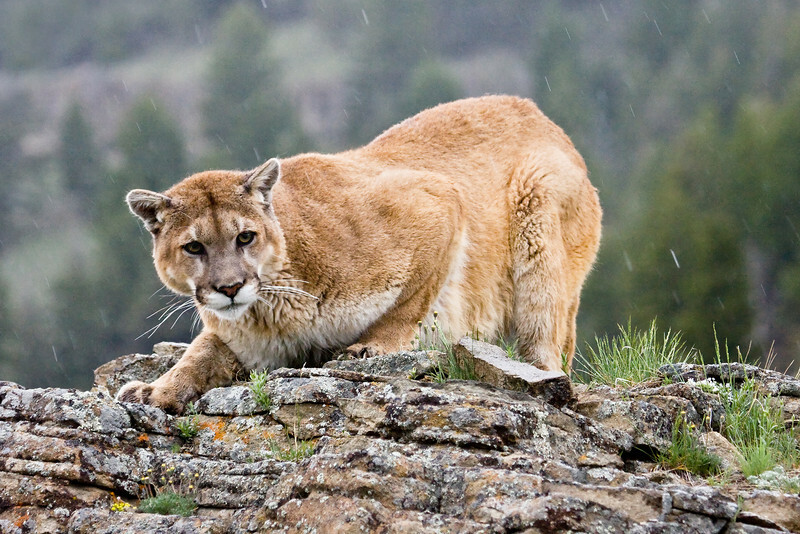 The cougar is a very capable 'stalk & ambush' predator, hunting almost anything from rodents to elk.